Recently I have had a bit of a lull between forays into the wild. As such I thought I would take a stab at another of these photo challenges. 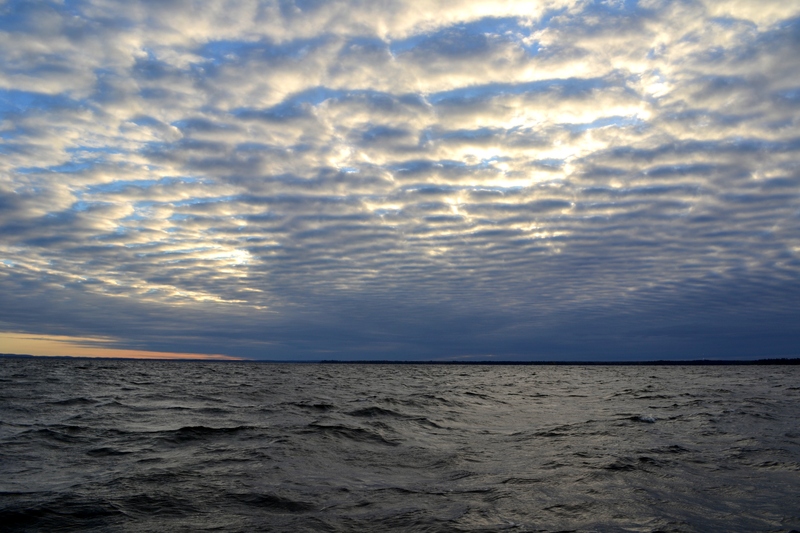 This photo was taken one morning while fishing on Lake Nippissing located near North Bay, Ontario. These Altocumulus clouds stretched as far as the eye could see and were a very impressive sight to behold. They provided an amazingly beautiful backdrop for the awesome fishing we had that morning. This entry was posted in Photography and tagged altocumulus, cloud photography, photography, Postaday. Bookmark the permalink. ← Is venision leaving a bad taste in your mouth?